Since 1980, Matthews Wall Anchor has provided reliable snow and ice management to hotels, school campuses, parking lots, and office parks in Pittsburgh, PA. Personal, reliable service is our strength. Our knowledgeable staff and top-of-the-line equipment are available 24 hours a day, 7 days a week when winter storm situations arise. This allows us to start service on each property as soon as the snow falls and to remain on call until the snow stops, surfaces are cleared, and ice is melted. We strive to make sure that everyone is safe during sometimes treacherous conditions. We offer salt, sand, a salt/sand combination, and other de-icing materials that can be spread on your roads, parking lots, and sidewalks. We can apply all of our de-icing techniques at different levels depending on the weather and landscape. We keep your walkways, parking lots, and driveways safe for both pedestrian and auto traffic by using those tools most appropriate for your business surfaces. After a major winter storm event, the snow can really pile up, causing driving and walking hazards for pedestrians and customers. If you’re a property manager, you probably don’t have the time or manpower to work on snow removal efficiently. Matthews Wall Anchor can help keep your property safe. Sometimes this means moving snow piles to widen out traffic lanes or clear prime parking space areas. When stacking services are not enough, we have to remove the snow from your commercial site. Time to haul some snow! Keep Matthews Wall Anchor in mind for all your snow moving needs. We take pride in providing professional service and reliable equipment. For all of your commercial business needs, contact our experts today. We can assist you with snow removal, ice management, and road prepping. 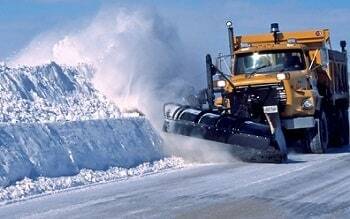 Call us today so we can assist you with all of your snow commercial needs in Pittsburgh, PA.